Your guide will pick you up at your hotel at 8h30 AM. 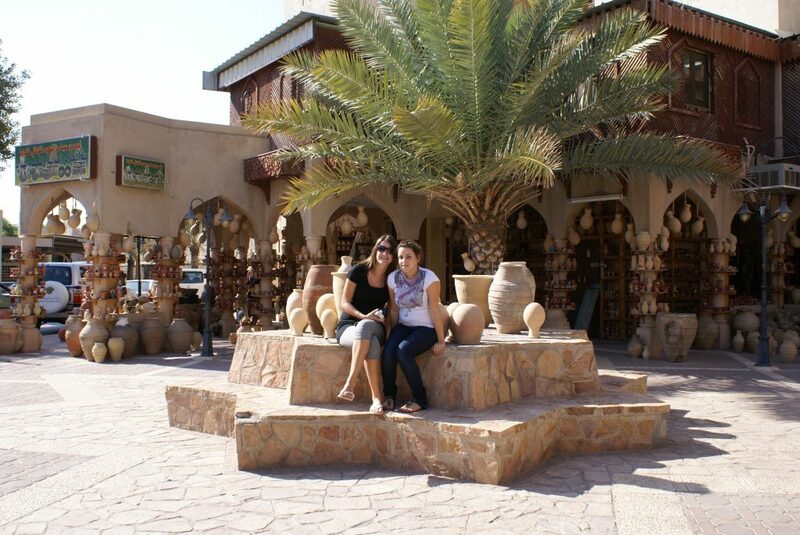 Start your tour by going through the Hajar Mountains range en route to Nizwa, who was once the capital city of Oman, stroll along the souk where you can buy silver jewelry, frankincense, intricately handmade Khanjars (the traditional dagger of Oman) and more. Visit Nizwa’s 17th Century Fort with its circular tower where you have stunning views of the city and the plantation. Then proceed to the top of Jebel Shams, “Sun Mountain”, Oman’s highest peak, 3009 m. The cooler temperatures will surprise you as you reach the top to get a spectacular view of the “Grand Canyon”. The stunning landscape will enchant you before heading for Misfat Al Abreen, set in a stunning landscape above terraced plantations of date palms. This is a rare sight in Oman as most palms are grown on the plains. The ancient houses and ruined watchtower perched on the mountain complete the scene. Return to Muscat.